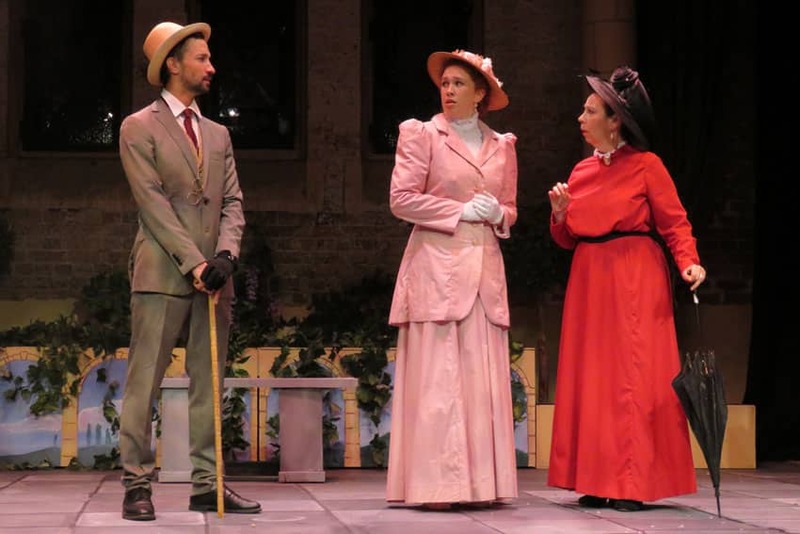 Fans of E M Forster’s early 20th century novel, A Room With a View, and the 1980’s film adaptation, will be delighted by the Genesian Theatre’s current production of the whimsical tale of young love. Adapted by Roger Parsley and Andy Graham, and directed by Mark Nagle, the production beautifully brings to life Forster’s novel depicting the fallout when the staid English aristocracy collides with the romance of Italy. Heroine, Lucy Honeychurch, who is played with great feeling by Phoebe Atkinson, travels to Florence with her older cousin as chaperone. After witnessing a murder, she finds herself falling for the dashing and unconventional George Emerson, played by Joshua Shediak. As the story unfolds, Lucy is forced to choose between duty and convention, or following the desires of her heart. Outstanding performances are given by Christopher Dibb as George’s free-thinking father, Mr Emerson, Tristan Black as the bumbling but kind Reverend Mr Beebe, and Ravel Balkus as Lucy’s cheeky younger brother Freddy Honeychurch. The intimate setting of the historic Genesian Theatre adds to the charm of the coming-of-age romance.